May 6, 2018 | By admin | Comments Off on Load Times Under 2s: WordPress Speed Improvements | Filed in: hosting. 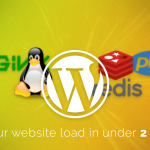 May 6, 2018 | By admin | Comments Off on Load Times Under 2s: Adding a WordPress Site | Filed in: hosting. May 6, 2018 | By admin | Comments Off on Load Times Under 2s: Configuring Nginx | Filed in: hosting. May 6, 2018 | By admin | Comments Off on Load Times Under 2s: Installing Nginx | Filed in: hosting. May 6, 2018 | By admin | Comments Off on Load Times Under 2s: FTP & DNS | Filed in: hosting. May 6, 2018 | By admin | Comments Off on Load Times Under 2s: SSL Certificate & Apache Configuration | Filed in: hosting. May 6, 2018 | By admin | Comments Off on Load Times Under 2s: PHPMyAdmin & Redis | Filed in: hosting. May 6, 2018 | By admin | Comments Off on Load Times Under 2s: MySQL, Apache, PHP7 & Composer | Filed in: hosting. May 6, 2018 | By admin | Comments Off on Load Times Under 2s: Installing Software | Filed in: hosting. April 2, 2018 | By admin | Comments Off on How I Got My Pages to Load in Under 2s* | Filed in: hosting.